It's here already. The final Deal of the week. This month went rediculously fast! 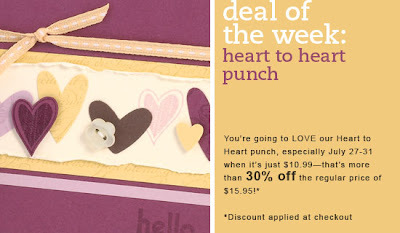 The final Deal of the Week is the heart to heart punch. You have until Friday to get this punch 30% off! To order this punch head on over to my website. 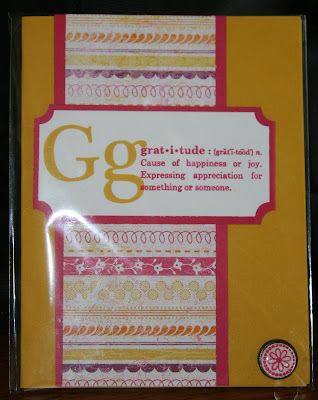 Be sure to check out all the other great items Stampin' UP! offers while your over there. Or, if you dont want to order online, just give me a call or shoot me an email and I will get you taken care of. I just had to post this. 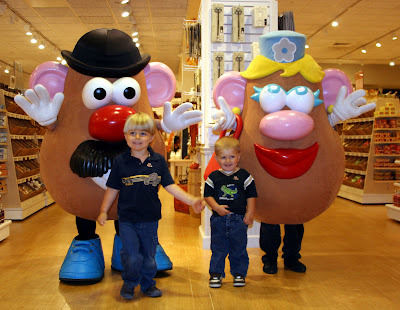 Yesterday Yankee Candle had a kids day. They had Mr. and Mrs. Potato head, Bumble Bee from the Transformers, Mr. Play doh, My Little Pony, and I heard a rumor that the Monopoly guy was there, but we didnt see him. They had all kinds of things for the kids to do. They had twister, giant jenga, potato sack races, and a pre school center where there was gator gulf, limbo and elefun (the game where the elephant blows out butterflies and the kids try to catch them in nets). They also had candle dipping, wax works where you could dip your hand in the wax and make a sculpture and you could also make your own jar candle. Then they had this puzzle machine where they took your picture and inserted it into a scence of your choice and it made a puzzle of it. The boys each got spongebob, it was super cute. The boys had a blast and were really well behaved! Hopefully today or tomorrow I will take some pictures of the cards we made at the class yesterday and get those posted. Until then, thanks for surfin my blog. Happy Monday! And that means the next Deal of the Week. For one week only you can have these must have accents! The Styled Vanilla Hodgepodge Hardware, pg 178, item #112454 for $18.99 (reg 29.95). A beautiful accent for any project! 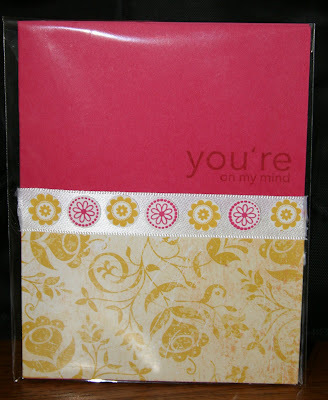 Here is another card we will be making at my class on Saturday. I just cant get over how much I love these new in colors. Especially the mambo melon. Its like my favorite. I use it on everything. Its pretty quick and basically self explanitory which is nice cause I really dont have time to. I need to go clean my kitchen but wanted to get this posted. Here is one of the cards we will be making at the class on the 25th. Thought I would use some stuff I havent used in awhile. In the bottom corner, a build-a-brad. I bought them, loved them, and didnt want to share them. I recently decided if I dont share them how will anyone else see how fabulous they are? On top, the defining alphabet and define your life sets. I just had to have these sets and again, dont use them very often so I thought I should use them as well. Then of course the new oh so fabulous in colors and dsp. I use those a lot though. Dont forget the deal of the week this week is square rhinestone brads. You have until Monday to order them at the discounted price. There is no limit on how many you order. So call, email me, or shop online to get yours before monday when its too late. From July 13-July 20th at 9:50am you can purchase Square Fire Rhinestone Brads regularly priced at $10.95, for $6.95 this week only! They make great embellishments on any project! To place your order by clicking here or by emailing me. Just a reminder for those of you in the area, I am having a class on the 25th at 2:00. The class fee is $10 and include 5 cards with coordinating envelopes. Please RSVP by July 20th. Hope to see you there! 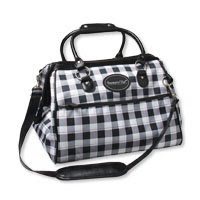 To place an order for your Doctors Bag you can call me at 413-863-8328, email me at laurafiske89@comcast.net or visit my website at www.laurafiske.stampinup.net Be sure to check my web site every Monday at 10 AM (MT) for the week's new deal. New products and New deals! Along with the new catalog (started July 1st) Stampin UP is offering a deal of the week every week until the end of July. The first deal runs from July 1st until July 6th at 9:50am, the next deal of the week is announced at 10am on the 6th. In order to find out what the deal of the week is, you can check out my online store here. A new deal starts every monday at 10am, so be sure to check. 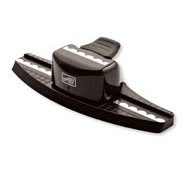 This weeks deal is the scallop edge punch. 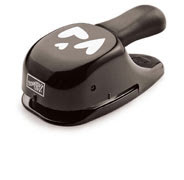 Let me tell you, I use this punch on just about everything! Its like one of the best things Ive ever bought. The Scallop Edge punch is on sale for just $10.99—over 30% off the regular price of $15.95! Who can resist that?! Here it is! 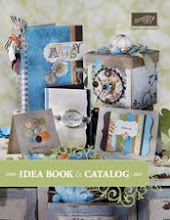 The brand new 2009-2010 Stampin' UP idea book and catalog! There are TONS of new stamps, accessories, and home decor products! Click on the picture above to view the new catalog! To place an order from the new catalog, or to order the deal of the week you can shop online at my store (see above link) or call or email me and I will put it through. 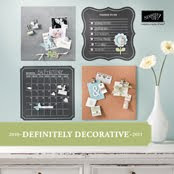 Also if you would like to purchase a catalog for a discounted price of $5 join me on July 28th at 2:00 for a card class. The class fee is $10 and include 5 all occassion cards with envelopes. I only have a limited number of books right now so if you plan to purchase one send your $5 with your class fee to me by July 18th and the first people to tell me they want one will get one. Hope all of you have a fabulous day!